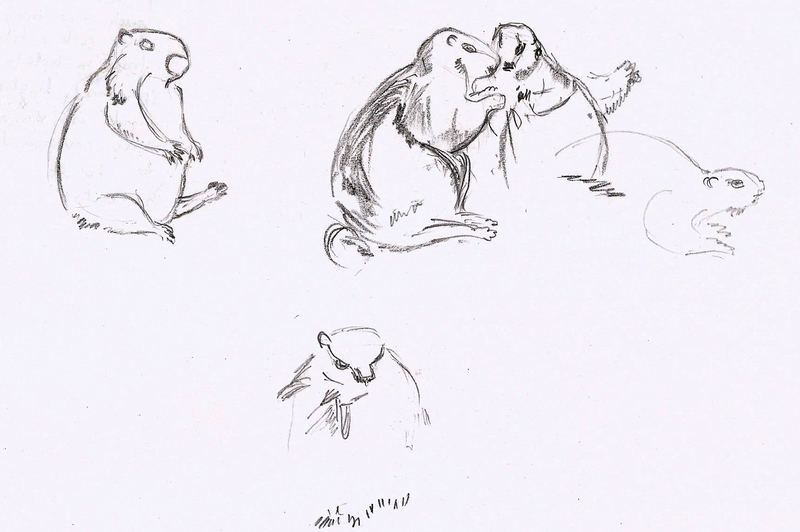 It was more fun to draw animals, though, but my sketches were mostly those of bears (Barney Bear), pigs(Porky Pig), Looney Tunes or stuffed tigers. Apart from a postal course in art from Santhanu’s Chitra Vidyalayam, I didn’t dabble much with sketching, other than the occasional doodling while dawdling. Things changed, when I began watching birds. 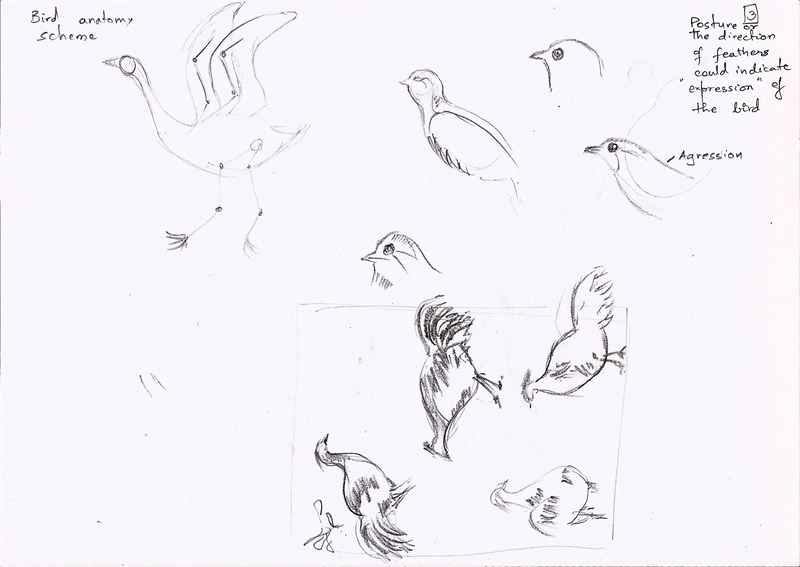 We learnt from experts and ornithologists; a common point everybody mentioned was to draw. Watch the birds, draw what you see, note down the details. Obviously, you may not be able to replicate the bird, but you can definitely observe its posture, the colors on its head, wings and beak, whether it walks or hops and a hundred other things that a bird can do. So there I was, back into sketching. 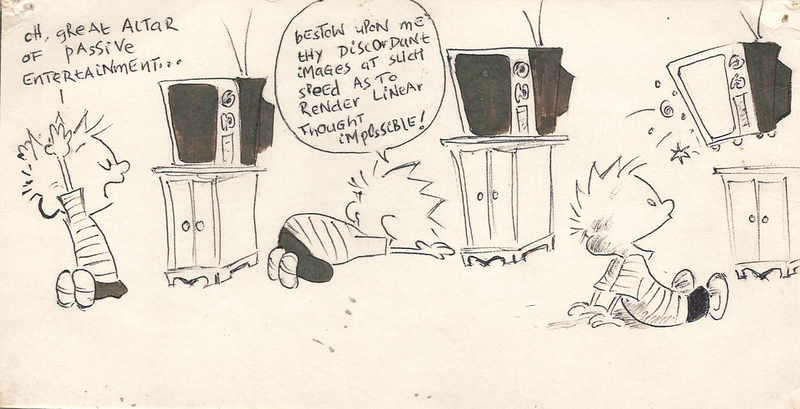 My sketches were horrible, but that didn’t matter at all, because all that mattered was the learning. This year, National Gallery of Modern Art, Bengaluru (NGMA) was celebrating art & natural history, on the occasion of World Environment Day. It was a three-day event with two workshops, a film festival and a conversation on animal illustrations in India. I was thrilled, because one of the workshops was for adults. Finally! I would get jealous of the kids who get to learn nature journaling from Sangeetha Kadur and Shilpa of Greenscraps – both very fine nature and wildlife artists and wonderful teachers, but who haven’t yet agreed to many of our requests to conduct workshops for adults 😉 At NGMA, there was a two-part workshop on scientific drawing of animals conducted by Ms. Tatiana Petrova. 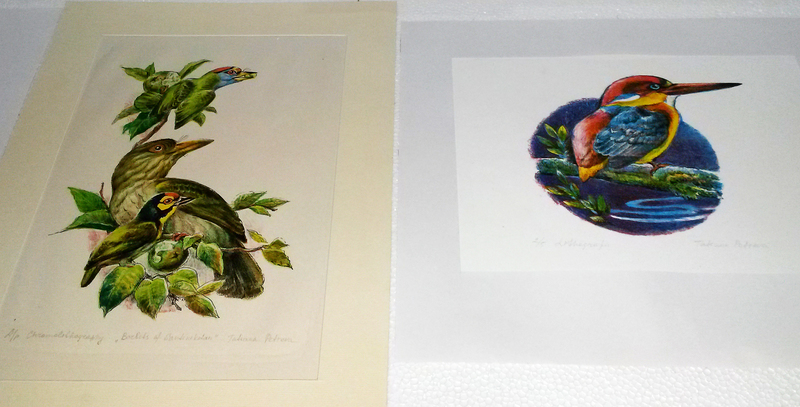 She is a Russian wildlife artist and ornithologist, who recently completed her dissertation on the history of ornithological illustrations of Indian birds in lithographs of XIX century. A few of her works were on display at the NGMA library. Shyamal L and MB Krishna guided some of us through the display which ranged from watercolors and woodcuts to lithographs and oil pastels. Later, Shilpa explained what goes into making some of them, and that was an eye-opener. The cats, birds, geckos – mind-blowing art. I was glad I didn’t miss the event. 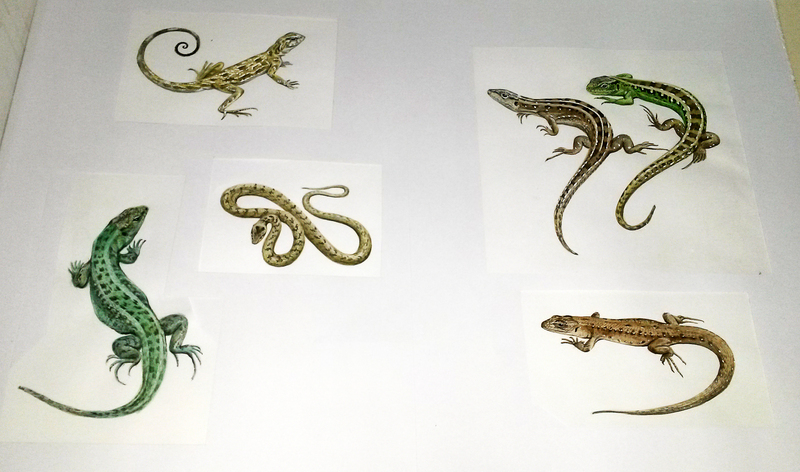 During the workshop, she took us along the timeline of the history of art in the natural world – from imaginary creatures and crude drawings to precise representations, art in nature and wildlife has come a long way. She told us about the very same techniques that our mentors had taught us earlier, of how to draw the key features and a bit of the habitat, while on the field. Additionally, she introduced us to “schemes” – more like skeletal line drawings for insects/animals/birds – on top of which one can develop the final sketch. She said, most people make the mistake of drawing the legs from the belly, or the tail seems to be “growing” out of the wrong place. There were important points that she drove home – like the joints on the limbs which make for a much better sketch – simple techniques, simple because she made them look so but points which we would otherwise fail to note. Day two involved an exercise of sketching while watching videos of animals and birds in action. Wow, doing a simple copy itself was a big task and this seemed impossible! 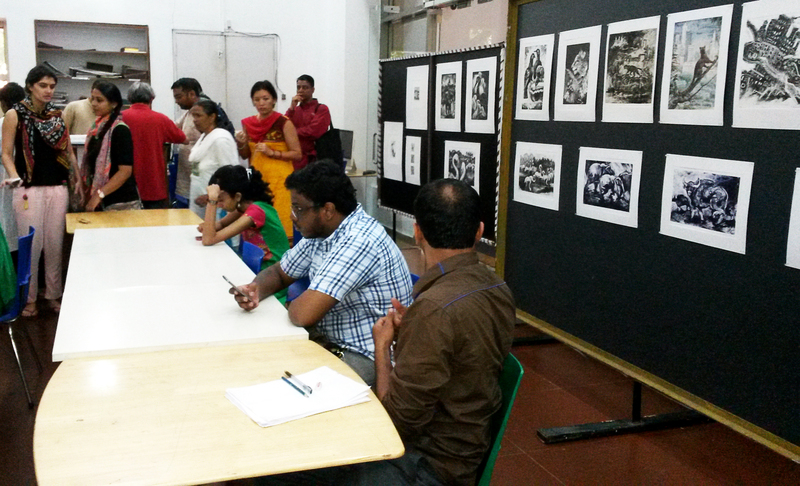 The event ended with the ‘Drawn to the Wild: A Conversation on Animal Illustrations in India’ by Shyamal and Tatiana. It was a journey they took us along, bringing to us the art that we don’t normally get to see. I am not qualified to even go ga-ga over Shyamal’s research and knowledge, but all I can say is that if you haven’t heard him yet, you really haven’t done the right thing. During the talk, Shyamal and Tatiana discussed many images, one of which was the one below. Note the Sarus Crane in the middle – I am mentioning this in particular, because two of our upcoming posts relate to cranes – Demoiselle and Sarus. Stay craned! 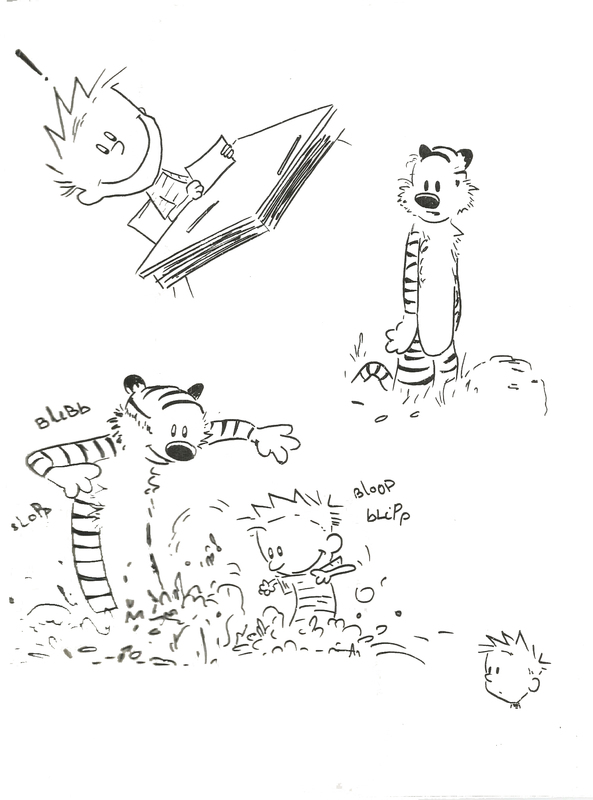 Your sketches are fantastic, Calvin and Hobbes :). Great information. 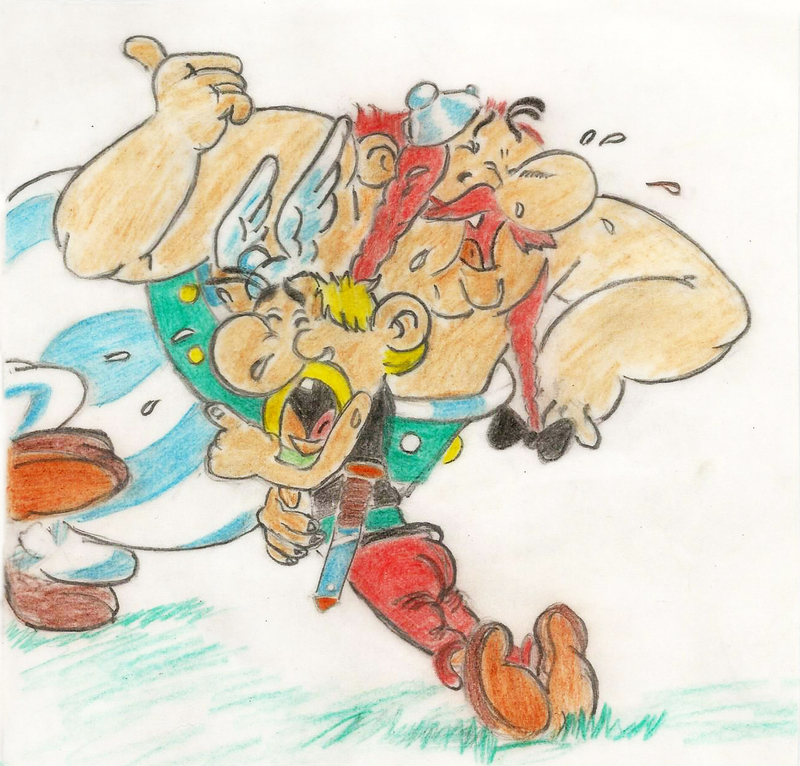 Lovely doodles and sketches….it truly is an art that takes you much closer to nature….! Nice blog. Fine sketches. Good to see you reviving your artistic passion also ! 🙂 Good luck. I seem to have missed a fantastic event..thank you for sharing it! I do hope there will be a repeat that I can attend…enjoying your artwork, too, very much! I am sure you would’ve enjoyed it, Deepa 🙂 And thank you! Wonderful information. Waiting to be craned.